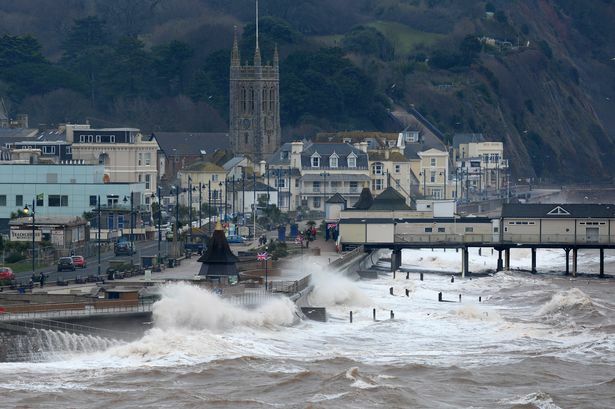 Two men who jumped into rough sea in Teignmouth and risked being battered against the sea wall were rescued by members of Teignmouth Beach Surf Life Saving Club before the arrival of the coastguard. The two men had dived into the 6 foot waves for fun and were spotted by members of the club who were assessing whether conditions were calm enough for a practice session. Club captain Dominic Round and chair Glen Mayhew entered the water as it was clear the men were in danger and were instinctively trying to hold onto the wall when in order for a rescue to take place they needed to swim further out. A third member of the club Natalie Coen, took on the shore-coordination and directed the lifeboats on arrival to the four men. All four were collected and rushed back to the lifeboat staion, with the two men taken to Torbay Hospital where they were kept overnight for observation. Natalie is chair of Trinity’s PTA as well as having been a teacher at the school and wife of headmaster Lawrence Coen, who serves as the vice-chair of Teignmouth Beach Surf Life Saving Club. Many members of the Trinity community including pupils, parents and staff are involved with the club and we are proud of our strong links. Incidents such as this highlight the importance of sea safety and ensure that we enjoy the huge benefits of living in coastal communities as safely as possible.